Yesterday, new details on Extell’s Nordstrom Tower were leaked, stating that the tower’s height had been stretched 20 feet to trump the One World Trade Center. But it looks like the news was all fodder as Extell Development boss Gary Barnett has stepped out denying that his supertall slated for 217 West 57th Street will reach such heights. The NY Post spoke with Barnett late yesterday and the developer told the paper that the tower “will categorically not be taller than One World Trade Center.” Barnett clarified that the building will reach 1,775 feet (with its spire) as planned, which is just one foot shorter than the One World Trade Center. 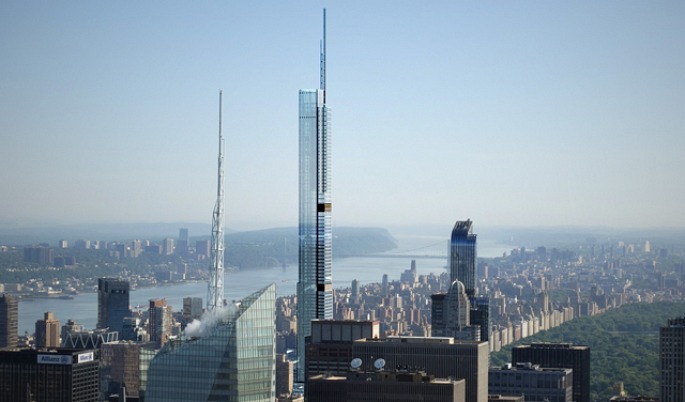 Although the building will not be the tallest in NYC, it will at least hold the title as the tallest residential building in NYC and the world.